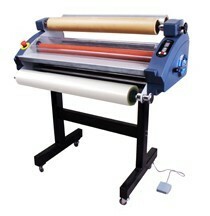 The RSC-820CLS is an economic 32 inch cold laminator. Ideal for magnet and decal applications. 41" x 21" x 43"
50.8" x 31" x 28"